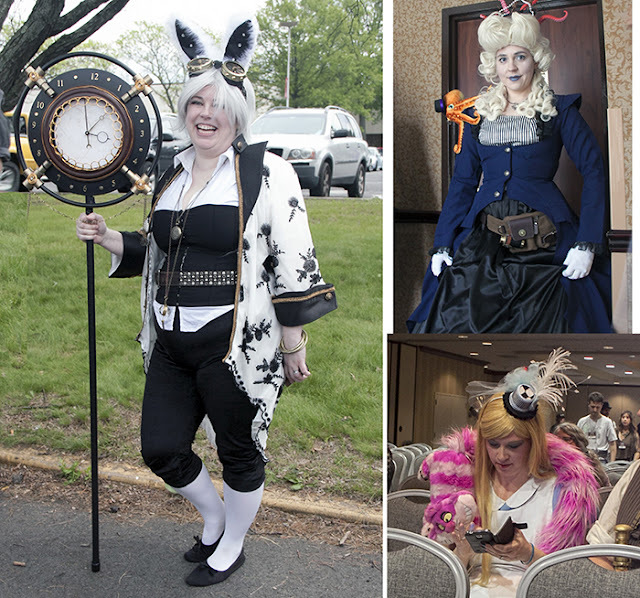 Piscataway, New Jersey was home to the largest Steampunk convention in the country this weekend. The Steampunk World's Faire was spread over two hotels and the outdoor space in between, there were shows, readings, signings and fashion shows wrapped up in a 3 day weekend. The biggest show for me is the cosplay display of Steampunk. Anyone can put on a pair of goggles or wrap themselves into a brown corset. The ones who really do it well take their favorite pop culture figure and re-imagine it completely as a Steampunk character. That's usually an upgrade. Taking a simpler character and giving it a time period makeover with fancier gear to match. At the 2016 Steampunk World's Faire, I saw tributes for a lot of retro characters. 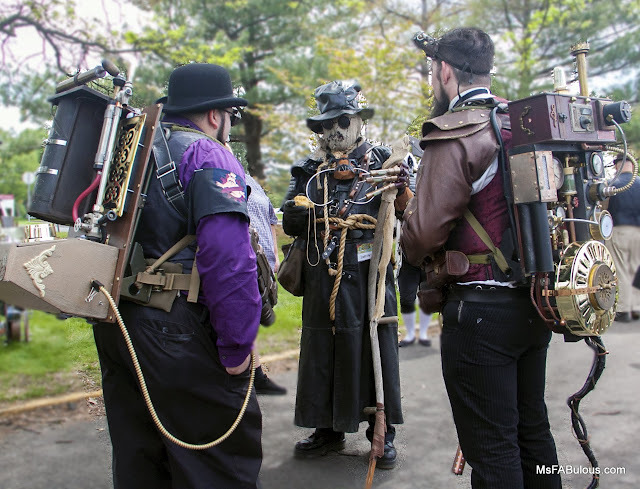 My favorite was the Steampunk Ghostbusters (above) who created intricate proton packs to accompany their stylish outfits. 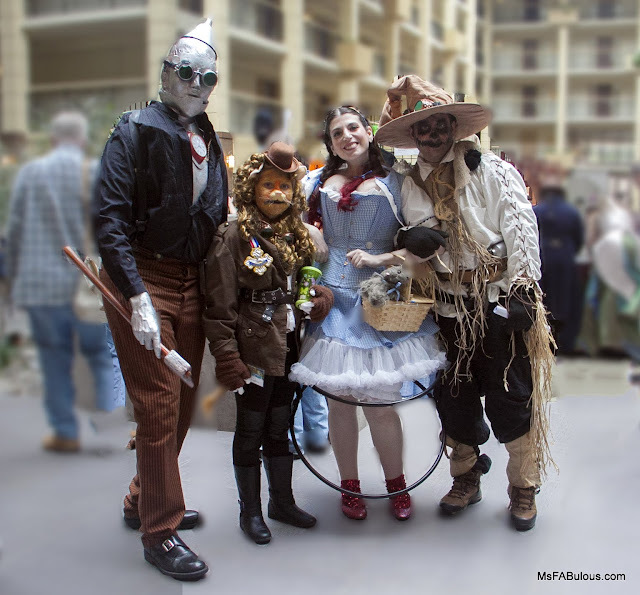 Also in the photo is a Steampunk Scarecrow from Batman who seems much creepier than the comical one. How cool is this Steampunk Wizard of Oz family? I also saw a group of cosplayers that I originally thought were just dressed in period garb. At second glance, I realized that their primary colors and embroidered insignia indicated they were in an alternate reality of Star Trek, representing the different colors of their occupations. A very popular theme this year was Alice in Wonderland. Kings and Queens of Hearts, The Walrus & the Carpenter, Alice, Cheshire Cat and the White Rabbit made their presence known in Steampunk style. 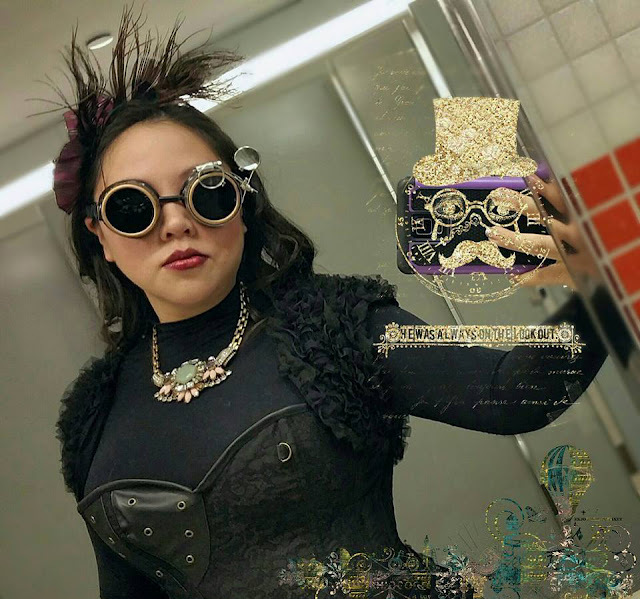 Stay tuned for more fashion from Steampunk World's Faire. 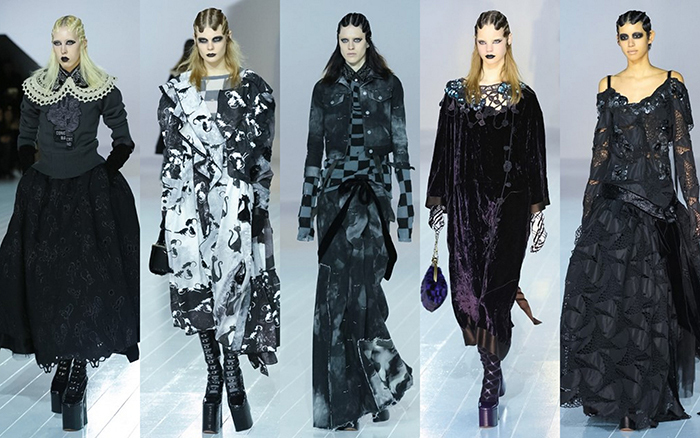 After years of Bohemian hipster girls, Marc Jacobs dove back into the 1990's to dig up grungy Goth for his fall 2016. 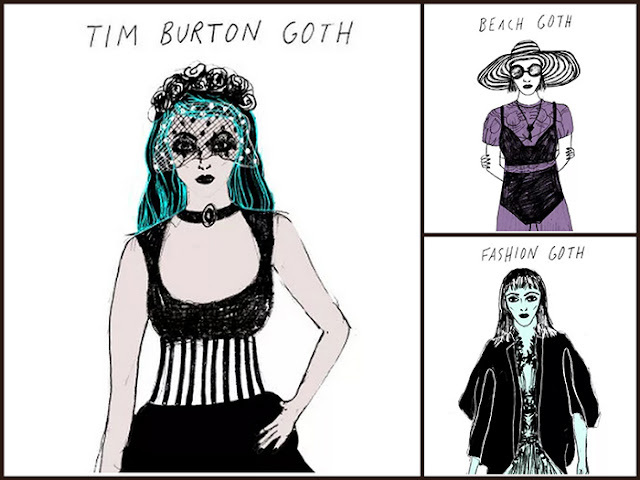 There was a mix of crushed velvet, dark prints, lace, lace collars and crochet. All the fabrics I lived in back in the decade while I was still in fashion school. Black, grey, purple, oxblood, that was my color palette too. The super smoky eyes on this runway I attempted but was never able to master. 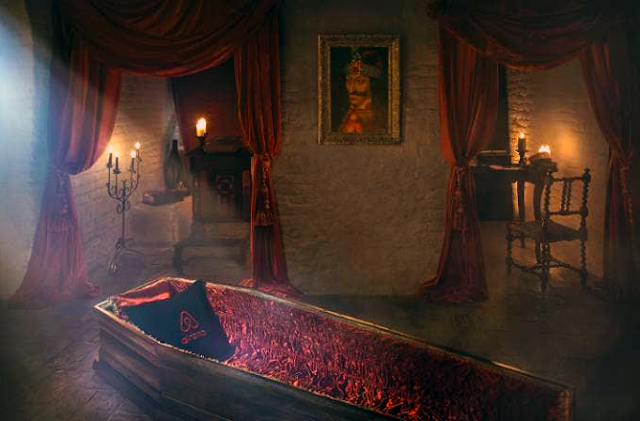 I did love the dark vampy lipstick though. I'm so glad it's back. The epically high platform heeled boots were much more intense than my favorite "witchy" boots from Parsons School of Design. 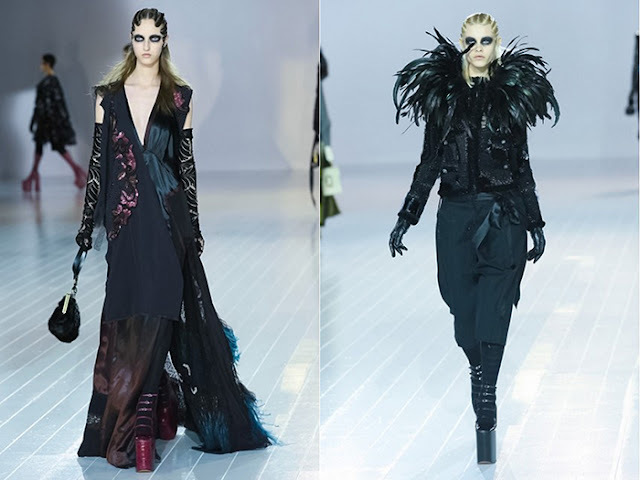 This is one of my favorite collections from Marc Jacobs ever. 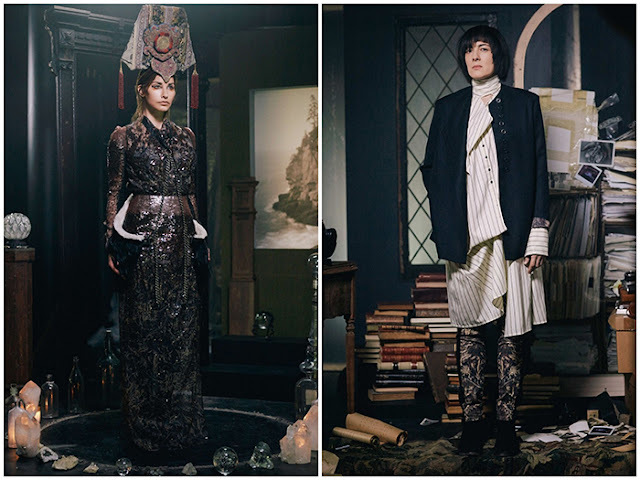 While the styling may be theatrical, the individual clothing items are beautiful in their own right. They are perfectly suited to those not inclined to the dark side.